The European Federation of Associations of Patients with Haemochromatosis (EFAPH) is governed by the 1901 Act (French law). 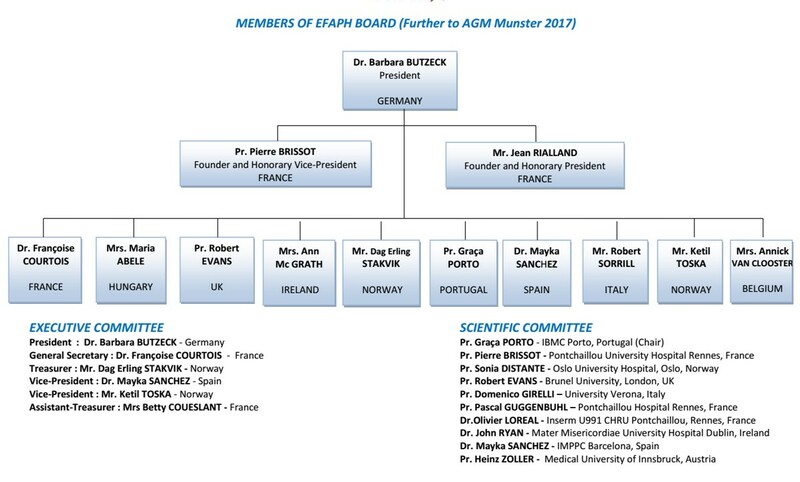 The Federation was founded by Jean Rialland (First EFAPH President) and Professor Pierre Brissot (MD, PhD), in Rennes (France) in August 2004. EFAPH is a non-profit making organisation and can only carry out its work thanks to the commitment of a team of volunteers. It is dependent on the funds raised from the membership, donations, grants and sponsorship.